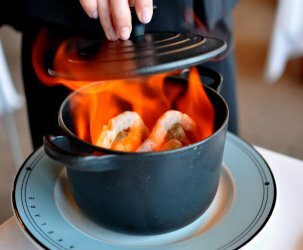 Late dinners with girlfriends are a rare treat these days, so I was downright stoked for a night out with Diana at Larchmont Village’s white-hot Kali Restaurant. It’s hard to beat an evening spent catching up with an old friend over superb cocktails and food. 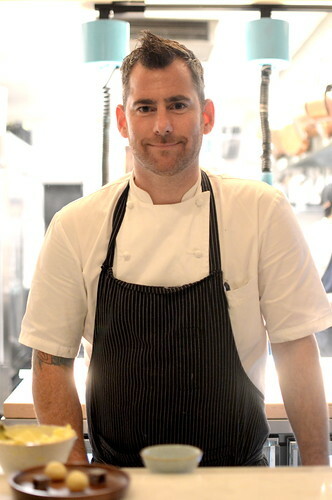 After years spent cooking underground at roving dinner pop-up Kali Dining, Chef Kevin Meehan and Wine Director Drew Langley finally have a place to call home. 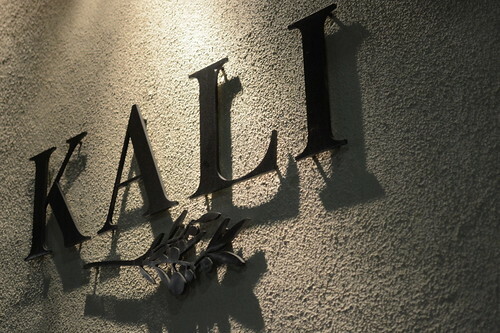 As you may have inferred from the restaurant’s name, Kali celebrates California ingredients, spirits, and wines in fine fashion. Considering these gentlemen’s collective resumes, I would not have expected anything less. 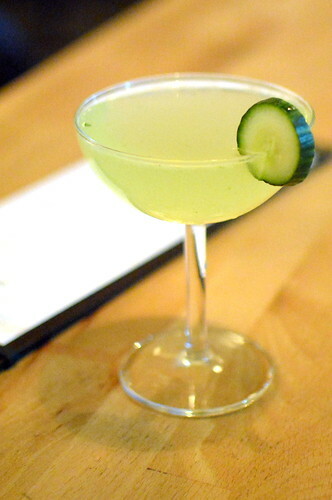 To start, the sweet yet potent “Arizona & 2nd” made with Hangar One Buddha’s Hand Vodka, lemon, cucumber, and basil. I am such a lightweight these days. And then there was bread! 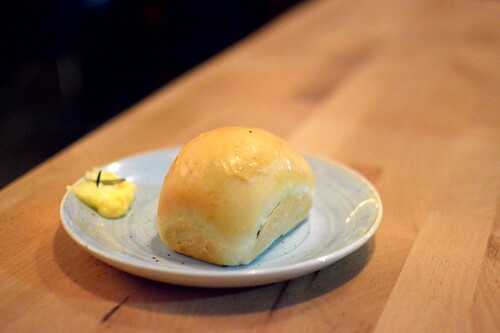 The brioche-style roll was made with buttermilk from Kali’s house-made ricotta. 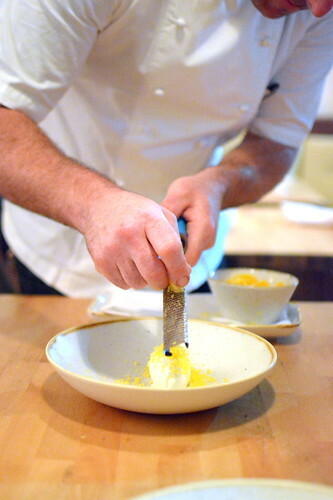 Also house-made was the cultured butter topped with rosemary served alongside. 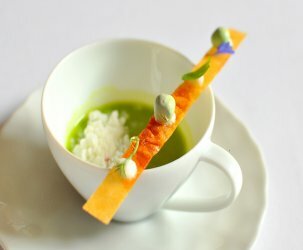 While Kali offers a $65 tasting menu, Diana and I opted to order a la cart. 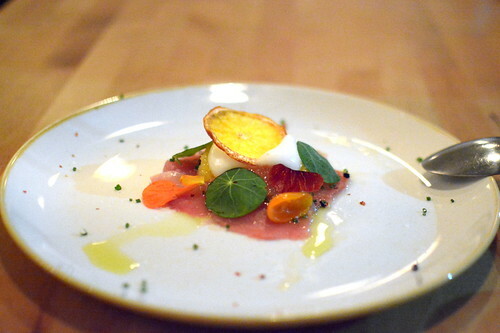 First up was the Albacore Crudo, thinly sliced tuna served raw with olives, mixed citrus, nasturtium, preserved lemon espuma, olive oil, and pink peppercorns. A terrific start. Pasta-fiends through and through, Diana and I couldn’t resist ordering the cavatelli. The house-made ricotta pasta, toothsome to the tenth degree, was finished with house-made crème fraiche and preserved lemons and garnished with local pink peppercorns and fried arugula leaves. 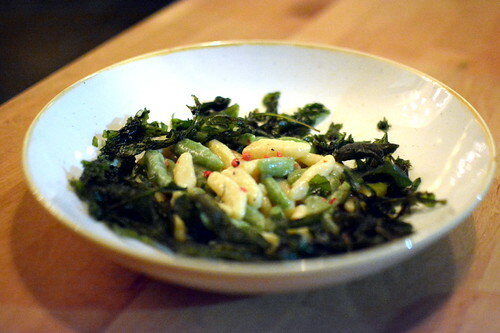 The cavatelli delivered on all fronts—totally unique, totally unexpected, and totally delicious. The cavatelli was a tough act to follow, but the Wheat Berry Risotto did so with aplomb. 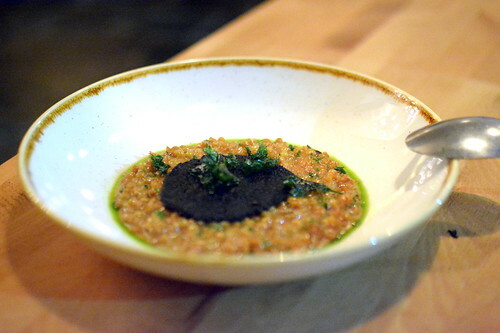 Here, Sonora wheat berries were prepared in classic risotto fashion with a black garlic “tea” and topped with butter and a most intriguing cheese-black garlic crisp. 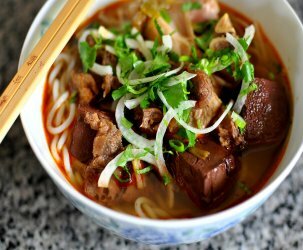 It’s been a while since I’ve had such a thoughtful, out-of-the box dish, and I savored every bite. Moving on to proteins, we shared the duck, which was air-dried with thyme, roasted over charcoal, and served with baby carrots cooked with lavender and honey. The duck’s skin, glazed with honey, was rich and impossibly crisp. Beautiful stuff. 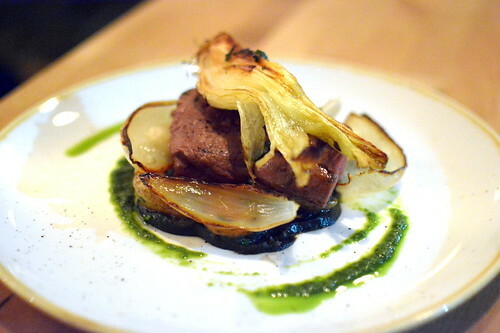 The final savory course was the beef tenderloin, cooked sous vide to a perfect medium rare and served with roasted fingerling potatoes, herb oil, and caramelized onions. 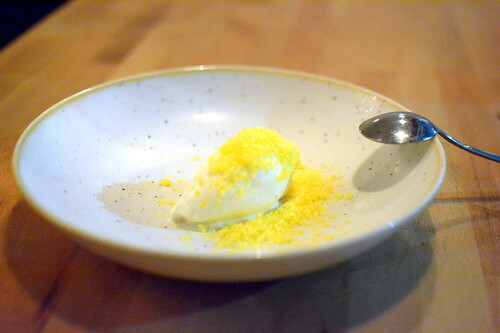 To finish, Kali’s signature sweet: toasted meringue gelato topped with grated candied egg yolk. Every cooling bite was sweet and savory, light yet satisfying. 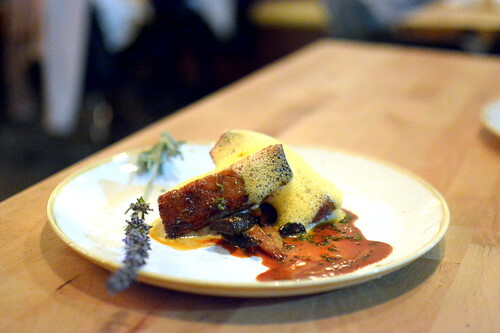 Kali Restaurant delivered a dining experience that was equal parts delicious and different. I loved how the space was elegant, yet relaxed enough for lively girl talk, while the food was sophisticated without any pretense. California, as seen through the lens of Kevin Meehan and Drew Langley, feels and tastes so good.